In our latest update we’ve focused on saving you and your conveyancing team time on some of the tasks you perform daily. 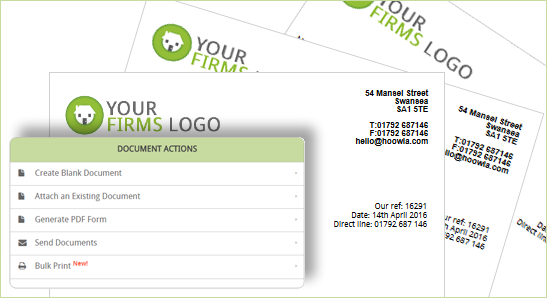 We’ve made it even easier for you to find, edit and print your letters and forms within Hoowla with the introduction of search tags, clickable custom fields and bulk printing. You can even go so far as being able to automate client care packs to speed up the start of the client’s journey. Read on to find out more and if you have any questions or feedback then please get in touch by calling 01792 687146 or via email. Cut down on the time it takes to instruct your clients. Collect all the information you need when creating your cases and have your client care pack automatically sent out as soon as you are ready. 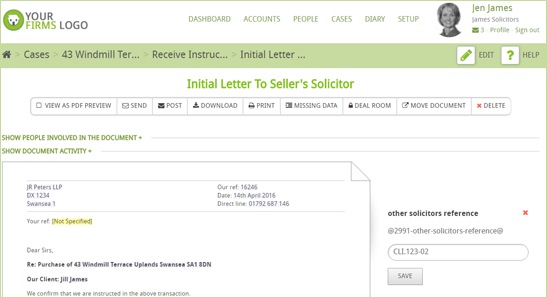 Save key information to your cases directly from our document editor. 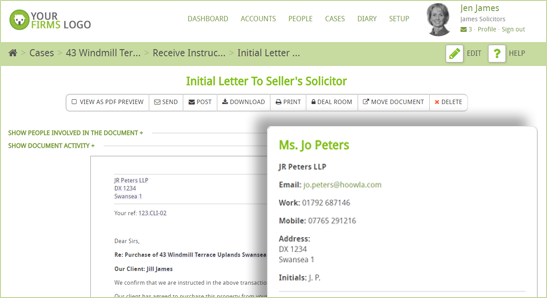 Click on any missing information in your letters and enter it there and then speeding up your letter generation. 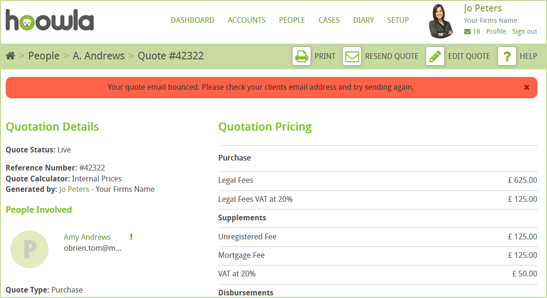 No more manually typing in costs as quotes raised through your conveyancing calculator can be automatically inserted into documents such as your client care letter. Send a selection of documents to the printer all at once or download them into a single file. This can save you precious time when producing your client care packs. Save a DX address against companies you have stored in Hoowla and choose for letters to be generated using their DX address by default. 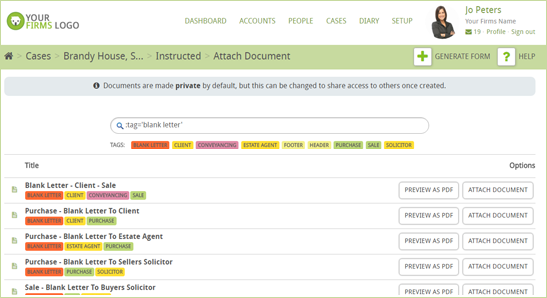 Add tags to your document templates and case information to help you quickly find what you’re looking for. 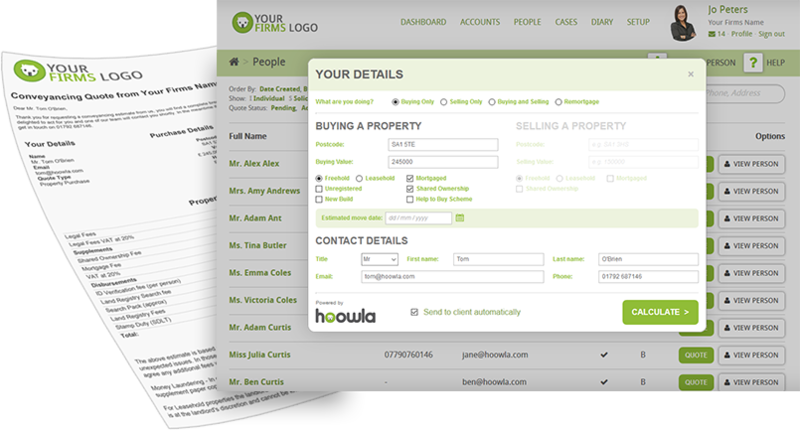 A powerful feature when used with the bulk print functionality.